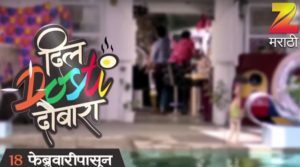 Zee Marathi’s family based series ‘Naktichya Lagnala Yaych Haan’ was released in 2017. It starred the actress Prajakta Mali, who had last acted in the serial Julun Yeti Reshimgathi in the role of Meghana. Julun Yeti was a big hit with the audience and ran for close to 2 years. Many male actors made special appearances in the serial. Actor Prasad Oak was seen in the role of an Encounter specialist & Actor Shashank Ketkar played the role of a chef named Shree Ketkar. Siddharth Chandekar also entered for a few episodes. 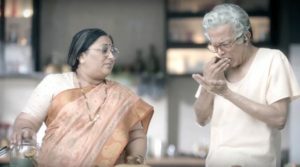 Many other popular Zee marathi kalakars such as Poornima Talwalkar (last seen in Honar Suun) and Varsha Dandale (last seen in Nanda Saukhyabhare) will be seen once again in this show. The serial aired every Wednesday – Saturday at 10 PM. However, it was terminated soon as the audience response was not so good. No information available on this. मला ही मालिका खुप आवडली मला नकटु खूप आवडते पण तिच लग्न श्री सोबत नको तर नीरज सोबत व्हायला हंव होत I like that actor who played role of Neeraj. End of the serial was not good as expected. Sir mi fresher ahe mala MARATHI serial madhe kam karayala khup avdte ek chance milu shakto ka? Nakti chya lagaan savadhaan hi serial band kara. Tila kontach mulga pasand nahi. Ek taari navra pasand kara. Marathi madhi Kay sarv navin actor gheyun serial kele kaa? मला ही मालिका अत्यंत आवडली. सध्या झी मराठीवर चला हवा येऊ द्या व नकटीच्या लग्नाला यायचं हं या दोनच मालिका पाहण्यायोग्य आहेत.